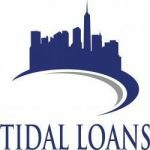 Tidal Loans has more than 50 years of combined experience in real estate investment. It offers hard money loans with interest rates ranging from 10 percent to 15 percent. It lends up to 70 percent of after repair value and 100 percent loan to cost, and it can fund loans in as quickly as one week. It has a five-star rating based on one Facebook review.